In the morning your guide will meet you at your hotel and transfer to Bwindi impenetrable forest national park, Buhoma center about 9-10hours drive. On the way, you’ll stop at African drum making village and equator crossing in Masaka for photos. Lunch is served at Igongo cultural museum in Mbarara town and time is allowed to explore the museum learning about Ankole culture and heritage. Afterwards drive to Bwindi via stunning scenery of kigezi rolling hills. Arrive at your lodge late evening. Dinner and night stay at Buhoma community rest camp/Volcanoes safari lodge/Silverback lodge/Haven lodge. After breakfast get your packed lunch, drinking water and transfer to the gorilla center to meet the guides for briefing on gorilla trekking rules. You’re guided through the forest to find a gorilla family in its feeding range and spend 1 hour with them. Return for lunch at the lodge. In the afternoon, you may go for a guided community walk to interact with locals, learn their culture benefits they get from gorilla tourism. Have diner and night stay at the lodge. 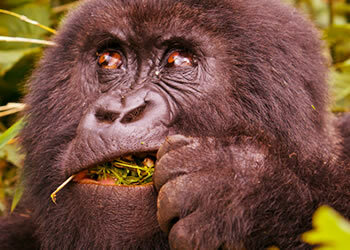 Take breakfast, have your pack lunch and leave Bwindi early at 07:00am. 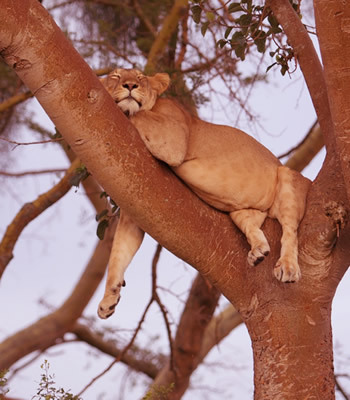 On your transfer to Queen Elizabeth national park you’ll have a game drive through Ishasha wilderness to search for tree climbing lions. You proceed direct to Mweya tourist center arriving for a boat cruise on kazinga channel to see hippos, crocodiles, elephants, buffaloes and water birds like spoonbill, saddle billed stork, water thick knee. From the boat, you may check in for dinner and overnight either at Katara lodge/Mweya safari lodge/Simba safari camp or Buffalo lodge. Optional activity: you can spend a night in the African bush and have star gazing late night. After a cup of coffee and some snacks at the lodge you start the game drive at 06:30am. The English speaking Uganda wildlife ranger will closely look for tracks of lions, hyenas and leopard. Sunrise is refreshing as you watch herds of elephants, buffaloes, giraffe, Uganda kobs, eland, topi, bushbucks, warthogs. Return for late breakfast and transfer to kibale forest national park. Spend some evening time enjoying the calls of birds at your lodge. You may have diner and overnight stay either at primate lodge/ Chimpanzee Guest House/kyaninga lodge. After breakfast early in the morning, head to kanyanchu visitor center and attend briefing by guides. 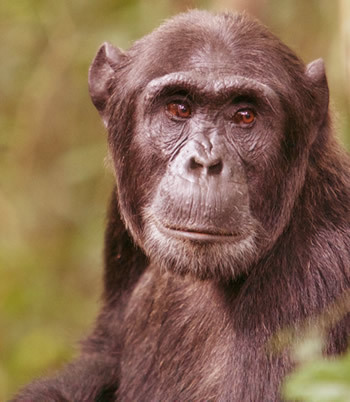 You’ll walk through the forest with a guide to the chimps and enjoy a full hour taking photos and learning how they are closely related to man. Sighting other primates like red colobus monkey, L’hoest monkey that live in kibale forest along with chimps will be great experience. Return to your lodge for lunch and in the afternoon, you’ll transfer to Bigodi wetland, one of the eco-tourism sites for nature lovers and bird watchers. During the 2-3 hours swamp walk, the guide will take about uses of medicinal herbs and myth attached to them whilst you view a variety of butterflies, primates, snakes, bird species like shoebill, great blue turaco among others. You may enjoy a cold drink, interact with local people and return to your lodge for dinner and overnight. After breakfast leave kibale and transfer back to Kampala via Mubende town where you’ll brach off to visit Nakayima tree shrine. This is one of the heritage sites with spiritual powers of the Bachwezi people dating back to 1100 AD. Proceed to Kampala arriving at your lodge or transfer late evening to Entebbe airport.